With over 24 years’ experience of the Portuguese market, David & Gary have established themselves at the forefront of investment and second homes in both Lisbon and the Algarve. 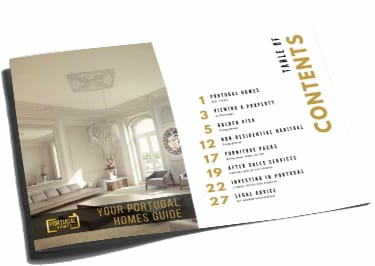 Their vision for Portugalhomes.com is to offer an unrivalled service to their clients. Our vision for the future is to build a client base that continues to work with us after they have purchased which is why we have such an in-depth and detailed aftersales service, the reason both our directors have survived so long in the market is down to their recommendations from previous clients and repeat business. Real Estate agents can have a bad name for selling you a property and then disappearing, this is not always the fault of the agent but the structure of the company they work for, if the company doesn’t have paid staff to look after you once the sale has taken place then your simply going to be forgotten about, sales staff move on the second they have completed the sale and our sales staff are no different to any others, there is always another client looking to buy and as all real estate agents work on commission its common sense that their attention sways from you and to their next client, which is why here at Portugal Homes we have a dedicated team to look after you “after the sale” has taken place, when we say “after the sale” we literally mean after you have made your reservation. They are trained and paid completely separately which means their future is dependent on your happiness as a client and your willingness to continue to use our services, they are paid a wage but the future of their job is reliant on your happiness which sets us apart from the rest and is the reason we have a huge amount of repeat business. We take great pride in the company we are creating and would love to make you a part of it, we have good relationships with some of the biggest real estate agents in Portugal and if we don’t have what you’re looking for we will gladly take you to view their properties also, no company in Portugal can claim to have the best properties to suit every client’s needs all of the time, it would be misleading if they did, we will openly tell you were not experts in areas such as Sintra and the Alentejo etc… however we know who is and that’s why we are open to working with them, the beauty of buying with us in areas such as this is you not only get access to the local experts but you get our professional approach and our unrivalled aftersales service, you also get an unbiased view of our Consultant that strangely enough asks as many questions about the property as you do when your viewing. In the City many of the big companies are franchises which means anyone with some spare cash can open a company, they’re very rarely experts and usually individuals looking for a change in career, they tend to have a rival office within their own franchise around the corner which makes it near impossible for them to be impartial, if you walk in to an office in Lapa (Central Lisbon) and ask them about something in Chiado (Also Central Lisbon) do you honestly think they are going to tell you it’s better than what they have, of course not they are going to pitch you Lapa, why wouldn’t they that’s where they will get paid. Our philosophy is simple, “Understand our strengths and accept our weaknesses” In areas we fall short employ the help of others when we need to, in the city where we are very strong employ the best and most experienced staff to ensure that we list the right properties in the right areas and make sure they are priced correctly, work with us and we will do our best to find you the “Very Best of Real Estate Investment in Lisbon” or your “Next Portugal Home” anywhere in the country. Enquire now to speak with one of our staff or take a look at our Aftersales programme to see the benefits of buying with Portugal Homes.